Are you dreaming in color? 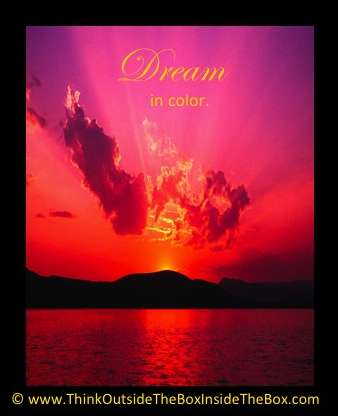 From the simplest dream of smiling and laughing every day to the biggest dream of making a difference in the world, take the time to dream in full, majestic color. Paint your dreams in vivid reds and blues and yellows and greens! Make your dreams come alive with an endless brush stroke your imagination. Give your mind permission to be fearless and limitless. Let your creativity run wild. Create your vibrant imaginings one brush stroke at a time…from what you have.